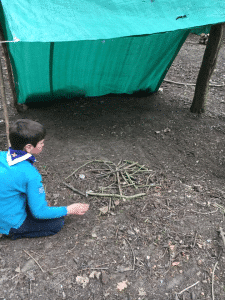 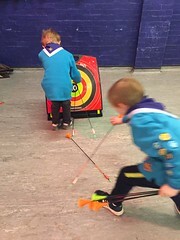 Beaver Scouts are young boys and girls usually aged between six and eight years old. 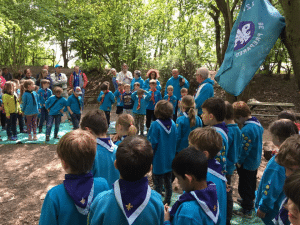 They belong to the first and youngest section in the scouting family. Our colony is a friendly and active place for your child to join – we get up to all sorts of things, including day visits, sleepovers, arts and crafts, exploring the outdoors and much more! 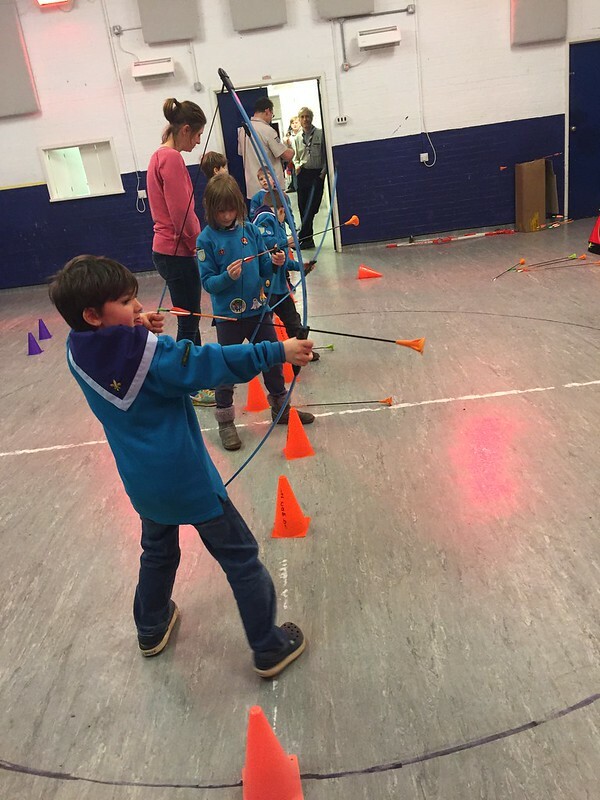 Yes, beavers can shoot, too! 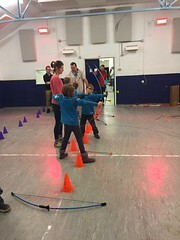 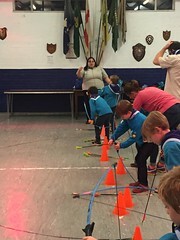 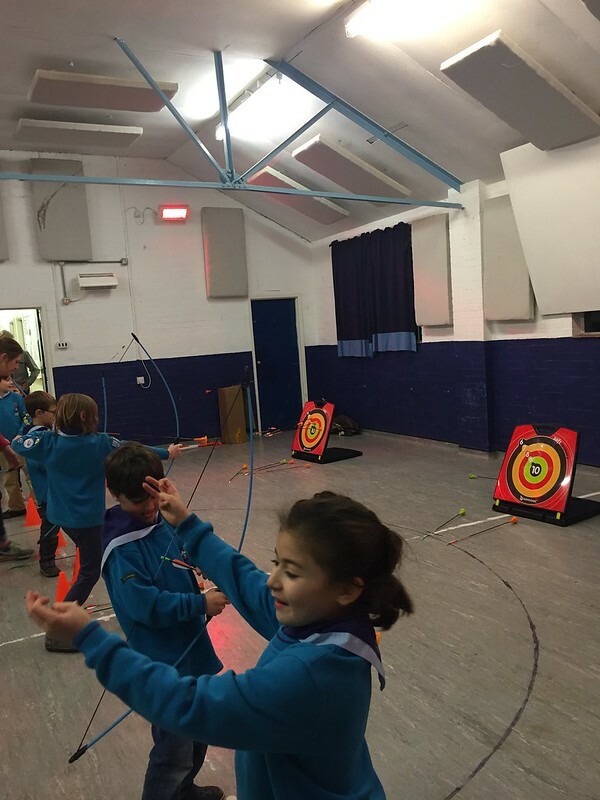 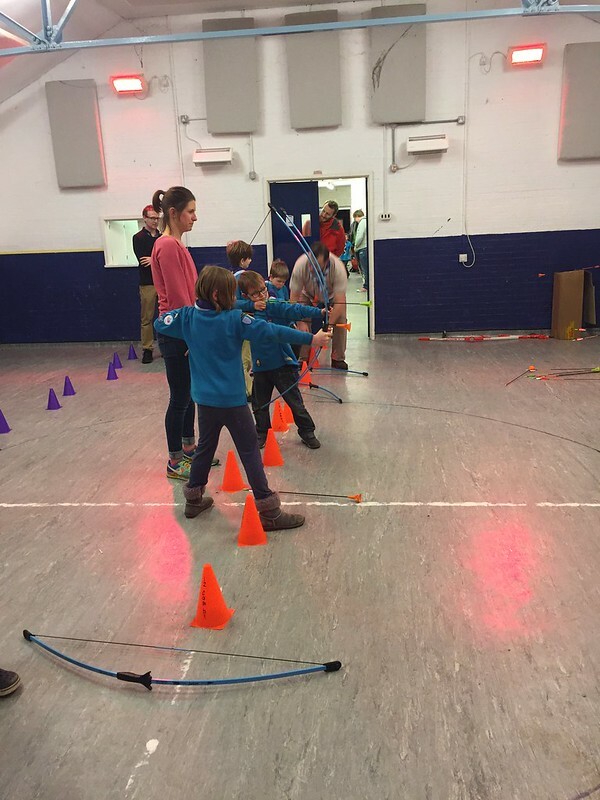 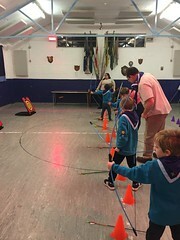 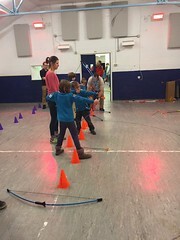 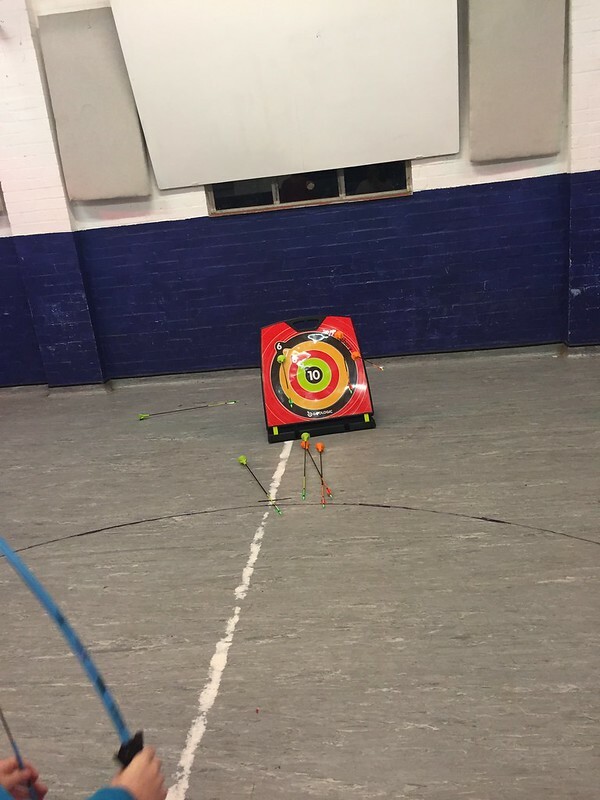 Not to be outdone by our older members, the beavers enjoyed a fun session of archery at the hut. 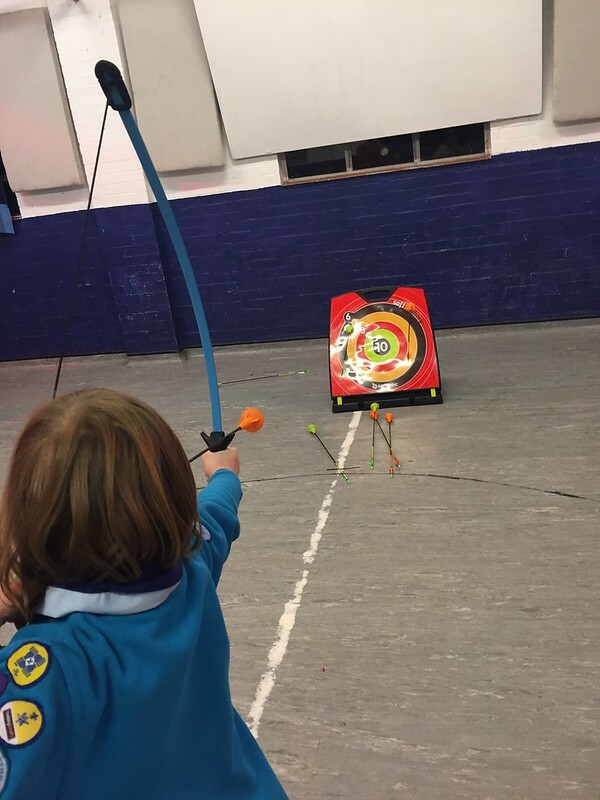 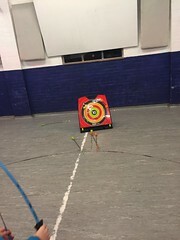 Traditional thinking is that archery is beyond the reach of those with smaller arms, and indeed it can be difficult to get the arrows on target using the large bows that our cubs or scouts might use. However, it is a versatile sport – you just need the right equipment, in this case ‘splat’ arrows and simpler bows. 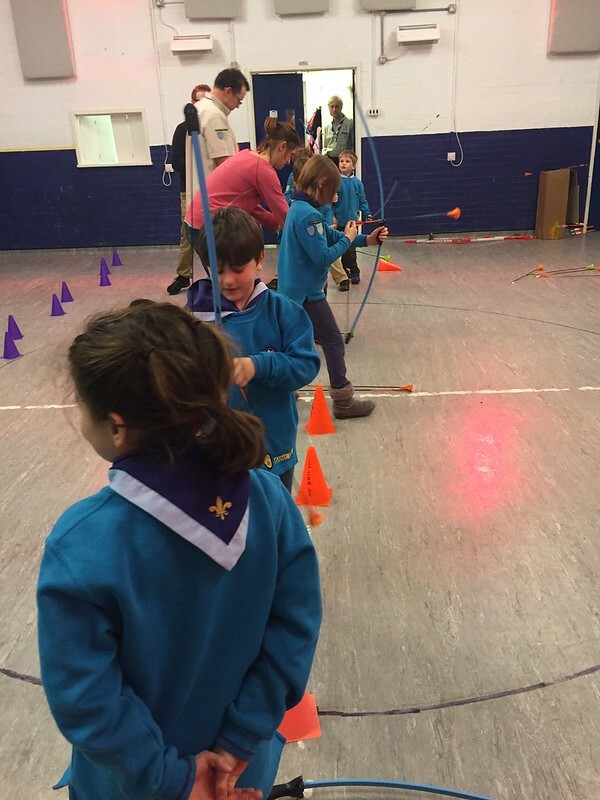 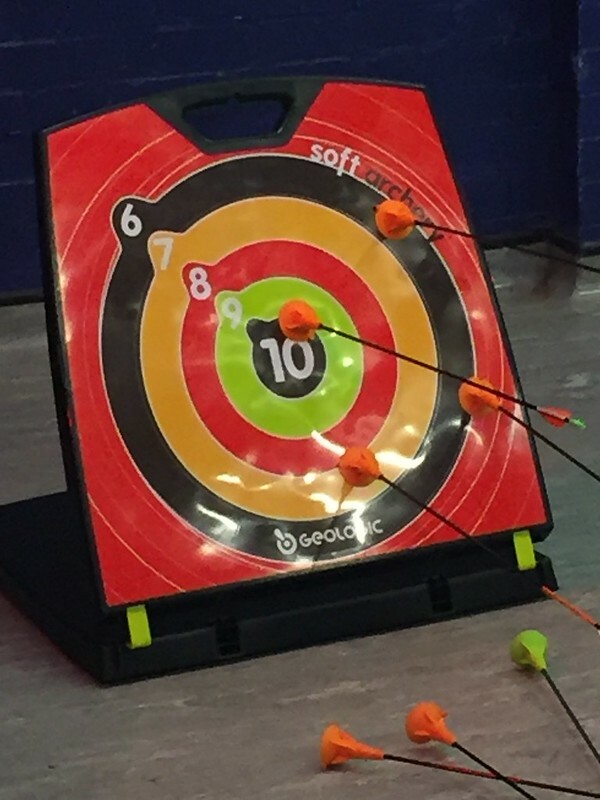 So here we have it: our beavers using real bows, real arrows and hitting the target! Thanks to Jasmine Horner and 1st Cambridge for the loan of the junior kit. 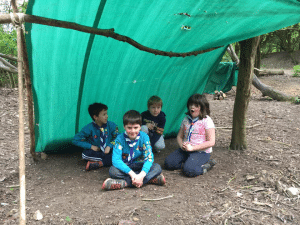 and finished by renewing their promises together.